Dialogue Space > The Nexus Times > Is Shale Gas Dead? It’s been a rough ride for the shale gas sector. The market boomed in 2008 shortly after natural gas prices reached USD $6 per million BTU ($/MMBTU). Then, lower gas-prices during 2014-2016 marked what many considered the beginning of the end of the shale gas extraction era – producers could hardly afford the high costs of horizontal drilling and hydraulic fracturing at a time when prices were close to USD $2/MMBTU. But then, as prices inched up in mid-2018 to USD $3/MMBTU, there was a mixed reaction. While shale gas enthusiasts regained optimism about the sector’s future and its potential contributions to energy policy objectives, critics were and still are skeptical of its potential due to the impacts and financial costs of extraction. With such uncertainty then, is there cause for optimism for shale gas, or is the market facing a bleak future? Finding consensus on the answer to this question is going to be difficult because shale gas extraction is a component of what Stephenson has called “the fracking phenomenon”. In other words, “fracking” is a complex issue and as Roger Strand has put it, it is more useful to accept that some questions might not have one straight answer, but many valid ones. And that is fine. Considering different answers as valid is not the same as falling into vague or “unscientific” methods. Analysts that follow the principles of Post-Normal Science (PNS) often use the same tools as other scientists and take into account factors other than facts, such as people’s perceptions and knowledge. Consequently, they do not look at quantitative results as an absolute truth but understand them as the final step of an analytical process influenced by a (mostly social) context. Bioeconomics is a useful lens with which to understand the energy and material flows associated with a productive activity such as shale gas extraction. Figure 1 maps the productivity of all wells in Pennsylvania, US, at different ages where three main stages can be observed. 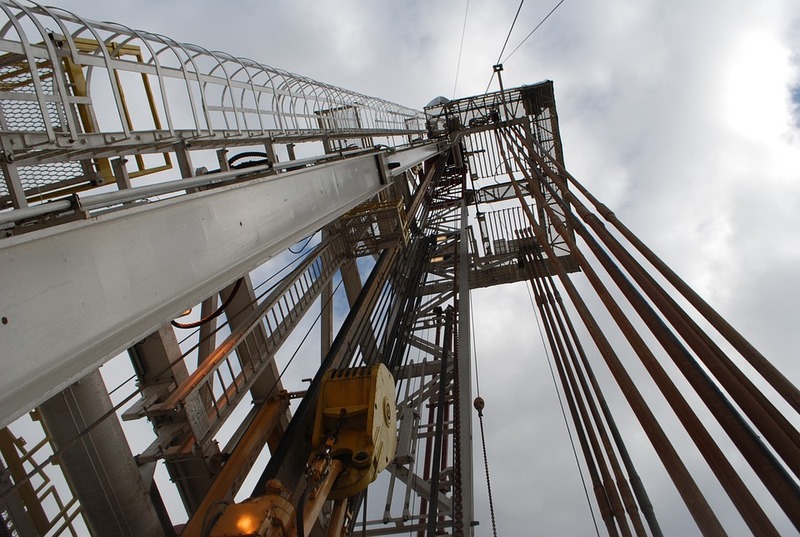 During the early stage of drilling and fracturing, productivity increases. At the same time, the adverse impacts on water, air and land and the local population also increase. During the production phase, the well is capable of providing enough gas to recover production costs and the environmental impacts are usually minimal. Finally at the decay stage, gas production is too low to provide benefits and adverse impacts are usually the result of a lack of proper maintenance. The point at which a well leaves the production stage and enters the decay stage is determined by the price of the gas. Clearly, once a well enters the decay stage, the gas company might prefer to plug it up and open another one, creating a more significant impact on land and water ecosystems. In a situation of lower gas prices, the production stage is minimized. The shale gas sector can only maintain a regular level of daily production if the number of wells (and their impacts) are increasing. When shale gas is saved for the times when gas prices are higher, however, the production of natural gas decreases, endangering the energy security of the producer. Wood Mackenzie reports that China’s shale gas extraction has doubled since 2016 and that, despite the relatively higher costs of shale gas development in China, the government’s commitment to the sector is grounded in energy security and geostrategic reasons. Since mid-2016 the sector’s productivity in the US has increased again, even when prices are close to USD $4/MMBTU which is about the average cost of production in the US. The Trump administration has heavily supported shale gas producers in Pennsylvania and other states, partly in order to fulfill local-development campaign promises that made Pennsylvania swing from a Democrat to a Republican majority state and partly to maintain a strong influence over the world energy market. With Dutch natural gas reserves close to exhaustion and the international relations between Europe’s main gas provider, Russia, and the European Union in a critical moment, being a trade partner of Europe sounds like an appealing option for exporting countries. Consequently, despite low gas prices and high environmental and social impacts, governments might choose to promote shale gas development for strategic reasons. Power relations play an important role in defining political agendas and, consequently, what actions are taken. Trade-offs between global, national and local strategic policies are very important to determine the future of shale gas development. It can be argued that the high income states of New England in the US suffers from a global scale ‘NIMBY’ effect, meaning that they benefit from a regular and low-cost gas supply, while extraction has been banned in most of the state. In order to ensure that the analysis that we are carrying out will provide answers to questions that are relevant for stakeholders, the obvious step is to involve them in the analysis. Traditionally, public participation is included in research either to gather information about a case study prior to the analysis or to gather feedback afterwards. In MAGIC, public participation is also included before the design of the analytical method. Thus, in the WP6 case study on shale gas we include a consultation to key actors in the European Commission. Shale gas fracking can be viewed from different perspectives, as discussed here with framings from Bioeconomics or Geopolitics. What does this mean in terms of policy measures, and more broadly for the governance of innovations? The contribution of technological innovations to policy objectives is uncertain but can nevertheless be studied. Some have argued that having shale gas at hand will delay the energy transition to renewables. However, natural gas, due to its market-readiness and its potential for use in decentralized systems, has been proposed as an energy source that can contribute to achieving a Low Carbon Economy. Shale gas development might not have the potential to make a major contribution to climate or energy policy. However, it has a high geopolitical value. It would be wise for Europeans to keep an eye on its mid-term development in the current scenario of fracturing diplomatic relations among the major external gas providers, which happen to coincide with the depletion and closure of one of Europe’s most productive gas fields, the Groningen field in the Netherlands.